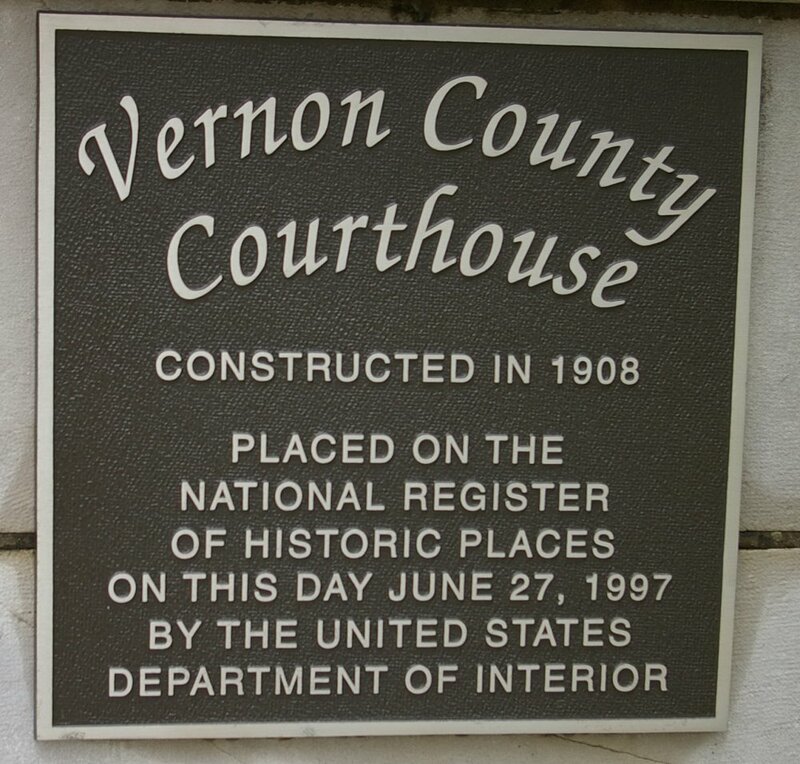 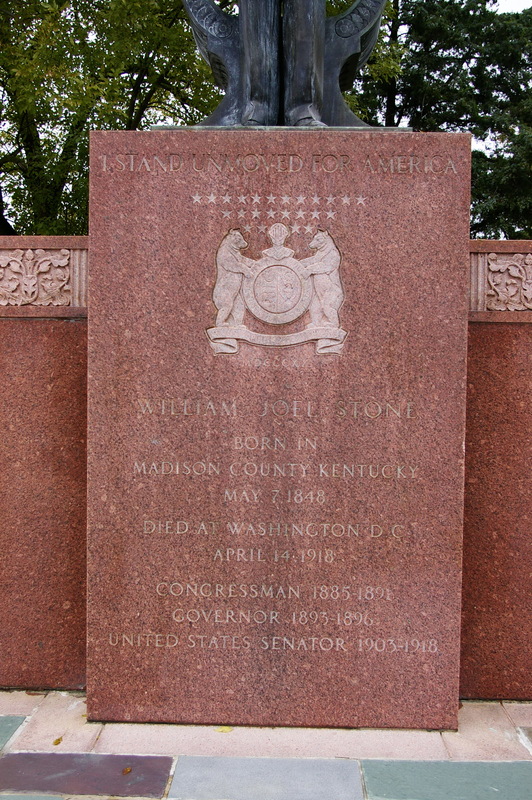 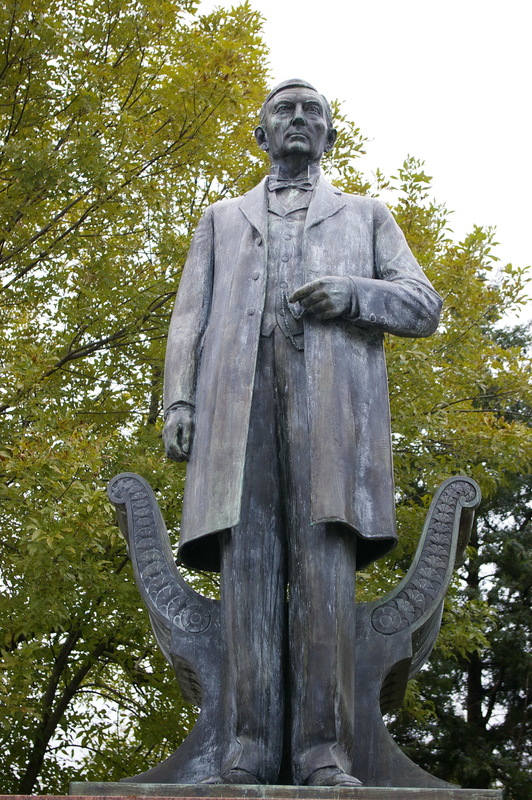 Vernon County is named for Miles Vernon, who was a state senator from Missouri. 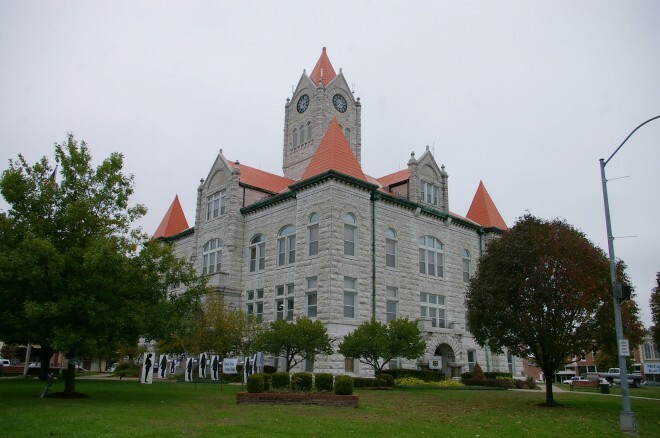 Description: The building faces south and is a three story course gray colored Carthage stone structure. 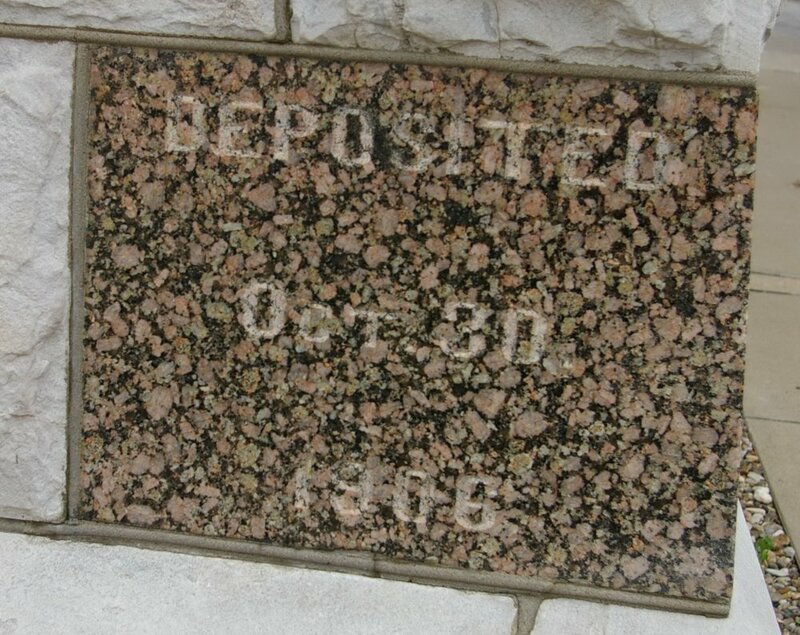 The building is 80 feet by 100 feet. The south front has a projecting center section with arched entrance on the first story and rising to a peak. 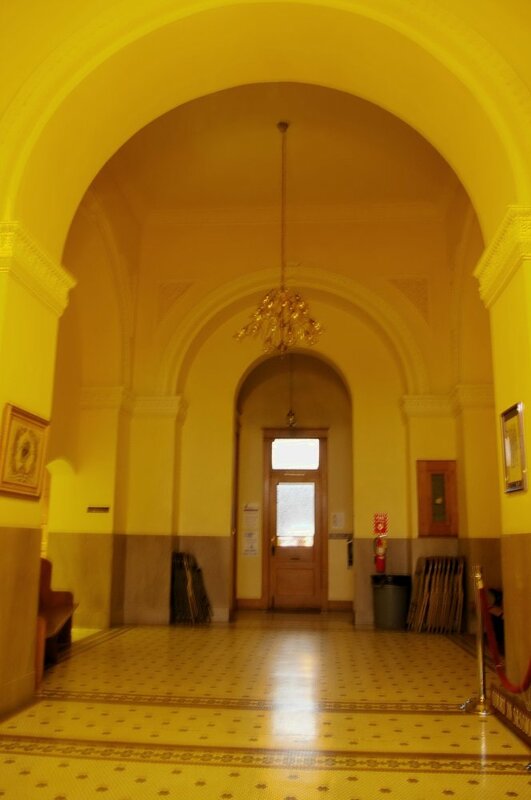 Above the entrance is a large arched window on the second story. 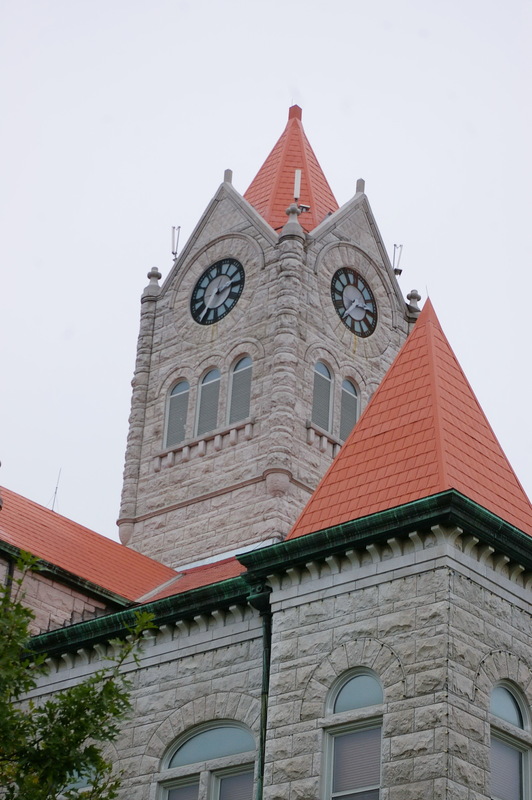 On each corner is a large square stone tower with peaked red colored roof. On the center of the roof is a large square stone clock tower with peaked red colored roof. Note: The first courthouse was designed by D C Hunter the county clerk and superintendent of construction and was built by James Bryan in 1856 to 1857 at a cost of $900. A clerk’s office was built on the southwest corner of the square in 1860 for $550. 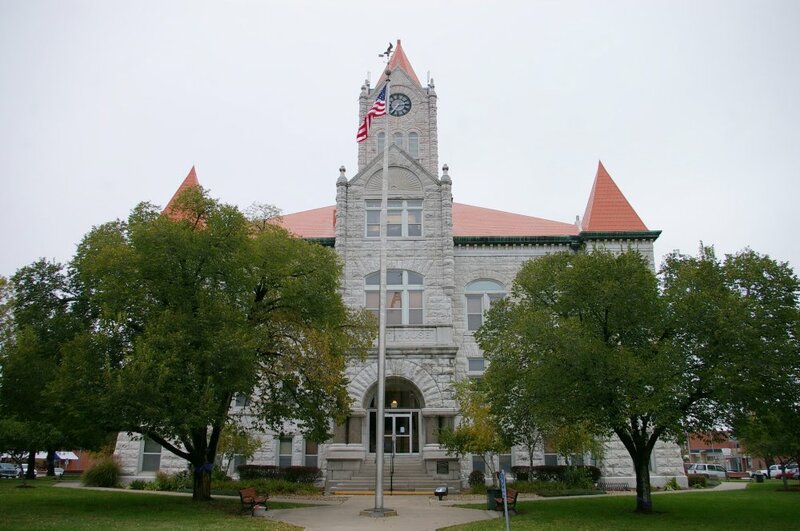 Both the courthouse and clerk’s office were destroyed by fire in 1863. 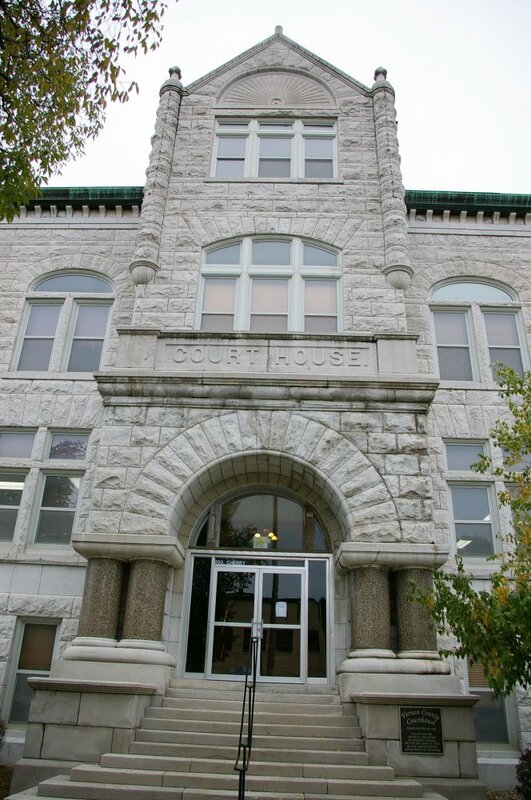 The second courthouse was constructed by Charles W Goodlander under the supervision of A A Pitcher at a cost of $25,000 in 1868. 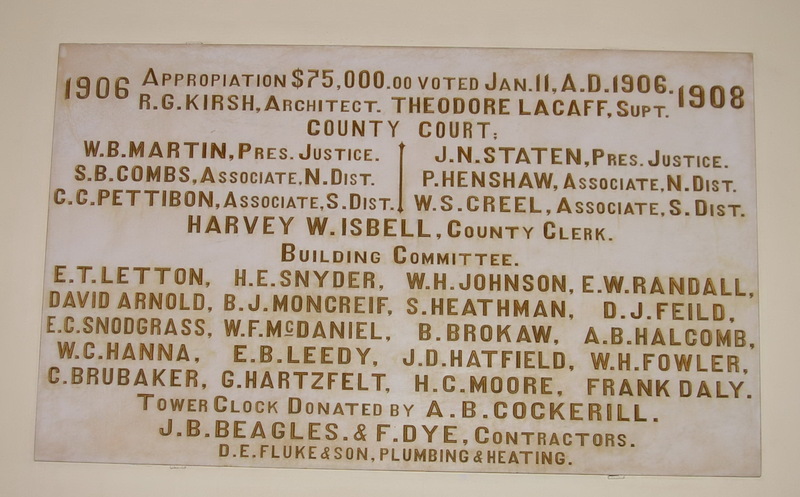 The present courthouse was constructed at a cost of $95,215. 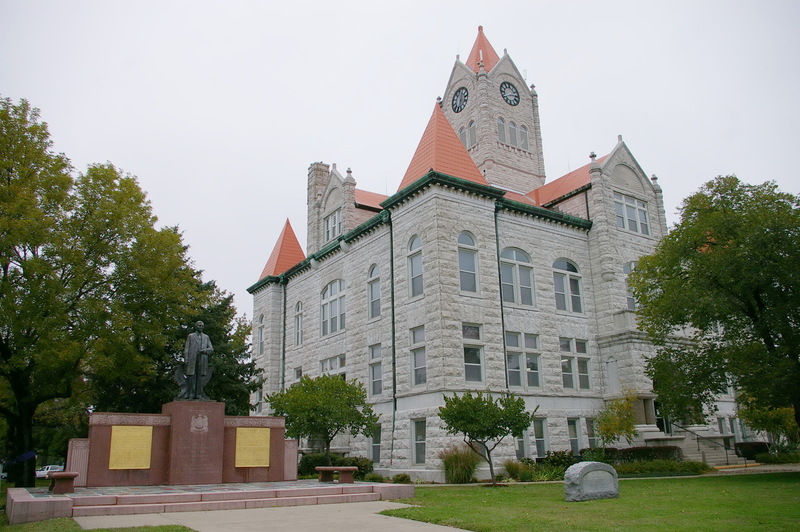 The building is similar to courthouses in Adair County and Polk County. 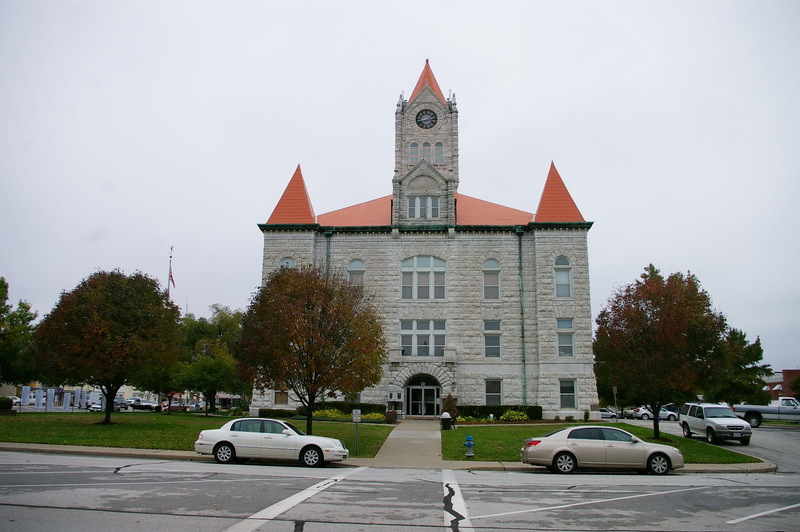 See: The architect, Robert G Kirsch designed courthouses in Adair County, Carroll County, Cooper County and Polk County.